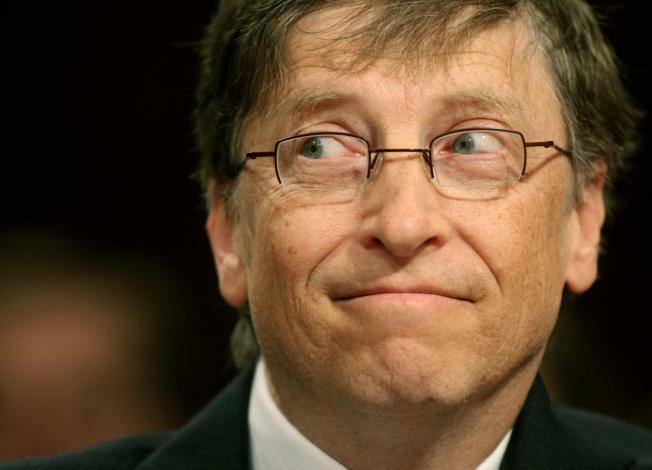 Bill Gates is back on top of Forbes' list of the world's richest people - despite losing $18 million last year. The world is down 355 billionaires this year, and among the surviving mega-rich, almost all have lost mad money. Specifically, everyone of the top ten wealthiest people in the world have lost vast sums of cash during the economic downturn that knocked such luminaries as Facebook founder Mark Zuckerberg and former AIG CEO Maurice Greenberg off Forbes' 2009 Billionaires list. The roster of the richest, released today, saw Microsoft Chairman Bill Gates return to the top spot with a total net worth of $40 billion, despite losing a staggering $12 billion over the last 12-months. Warren Buffett slips to #2 richest person after losing $25 billion this year (he's still worth $37 billion). Mexican telecom tycoon Carlos Slim Helu also lost about $25 billion this year, but came in third on the richest list with a $35 billion net worth. The total net worth of this year's 793 billionaires is $2.4 trillion - down from $4.4 trillion last year, according to Forbes. Of the top 20, 10 are Americans. New York CityMayor Michael Bloomberg (#17) was the only person in the top 20 to turn a profit this year after he bought a 20% stake in Merrill Lynch. While 656 moguls lost money in the past year, 44 added to their fortunes, Forbes said. Last year's biggest gainer, India's Anil Ambani (#34) was also this year's biggest loser with $32 billion of his fortune disappearing this past year. Russia also saw a significant drop in billionaire representation with nearly two thirds of its richest falling out of the billionaire's club.